The Township of Washington consists of approximately 3.5 square miles. It is primarily suburban and residential in nature. A small commercial area is located near the center of town. 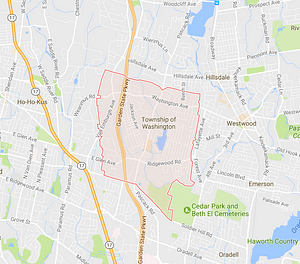 The Township is located in north central Bergen County and is bordered by the municipalities of Ridgewood and Ho-Ho-Kus to the west, Paramus to the south, Westwood to the east and Hillsdale to the north. The residential population is near 10,000. It is served by a 20 man Police Department, augmented by two Class I Special Officers. 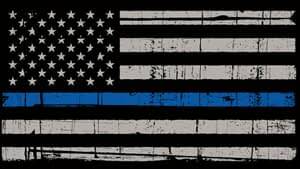 All emergency services are dispatched from Police headquarters on a 24 hour basis. These emergency Departments include Fire and Ambulance. The communications dispatch center is state of the art. It is comprised of a computerized radio dispatch system and an enhanced 911 system which serves as a Public Safety Answering Point. Typical Police response time for emergency calls is within two minutes. This response time is well under National Standards. The primary transportation routes in the Township are the Garden State Parkway, Washington Avenue (County road 502), Pascack Road (County road 63), Van Emburgh Avenue (County road 71), Linwood Avenue (County road 110), and Ridgewood Road (County Road 82).